London South Bank University’s (LSBU) ground-breaking work developing games to train humanitarian aid workers, as well as ongoing leadership in games education, has earned the University two awards nominations from video game trade association TIGA. In 2016 TIGA awarded LSBU top honours in the Educational Initiative and Talent Development category. LSBU Games is a finalist once again, this time for its Humanitarian Project. Other finalists in the award category include Pinewood Studios, Sony Interactive Entertainment/PlayStation First, Sumo Digital Ltd, Guerilla Games, and Gram Games. The Humanitarian Project is the brainchild of LSBU researchers Professor Janet Jones and Dr Siobhán Thomas and a consortium of major humanitarian aid organisations and aims to develop games to equip aid workers with the skills to combat large-scale humanitarian disasters including tsunamis, floods, disease and famine. The unique initiative brings together students, experts, game developers, and players to collaborate on an international scale to offer a solution for the training needs of these important organisations, so they can keep their focus on addressing humanitarian crises that affect millions of people each year. 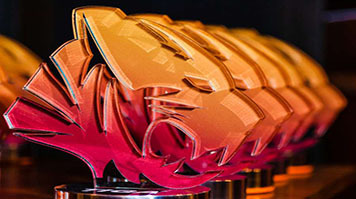 LSBU was also shortlisted by TIGA against seven other UK universities for the Educational Institution award, for its wider games education work delivering high proportions of students into graduate level jobs, industry events with an international focus and world-leading research, innovation and development work. Dr Thomas, who heads up LSBU Games and Immersive Technologies, a research and development arm within the School of Arts and Creative Industries, said LSBU’s support of humanitarian work was pushing the boundaries of what is believed to be possible with gaming. “When people think of games, they don’t immediately see the potential applications in a field like humanitarian work,” she said. “This initiative has many advantages, not just for aid organisations and the people they assist, but also for developing talent in game development, something LSBU has consistently been recognised as being excellent at. “We have an ethos of continually pushing the boundaries of what is possible. The students have to deal with incredibly complex design challenges, alongside expert game developers, to use game design principles and development processes to address a very real-world issue. The award nominations signify the importance of LSBU Games to the UK games industry, and winners will be announced on Thursday, 2 November. Learn more about studying Game Design and Development at LSBU. Get in contact with Dr Thomas.